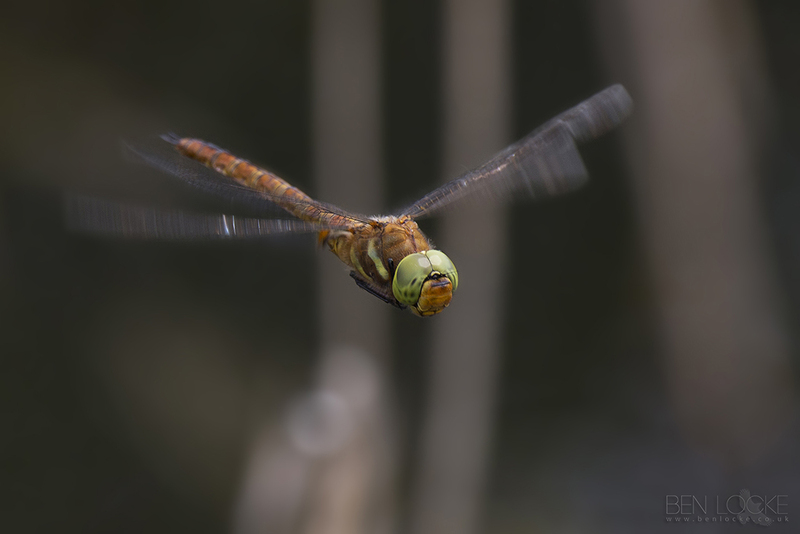 The Norfolk hawker is a large hawker dragonfly which is on the wing for a short period during June and the very beginning of July. A rare dragonfly, it is found in the marshes and fens of the Norfolk Broads along ditches where the aquatic plant, water soldier, grows. It needs unspoilt grazing marsh with non-saline water to survive. Having spent up to two years in the water, mature dragonfly larvae climb on to emerging vegetation at night, where they moult into adult dragonflies, leaving behind a cast known as an 'exuviae'. Newly emerged Norfolk hawkers wait until early morning to fly off to other areas to feed but will take another two to three weeks to reach maturity.